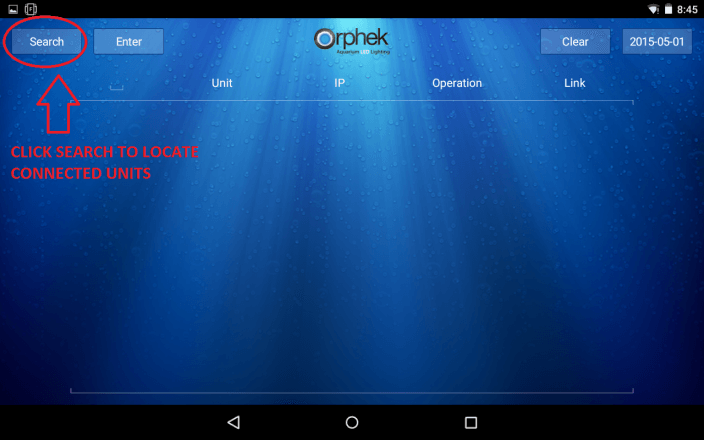 Section 3- Beginning to use the Orphek application. In this section we will show you some of the basics of the startup screen. 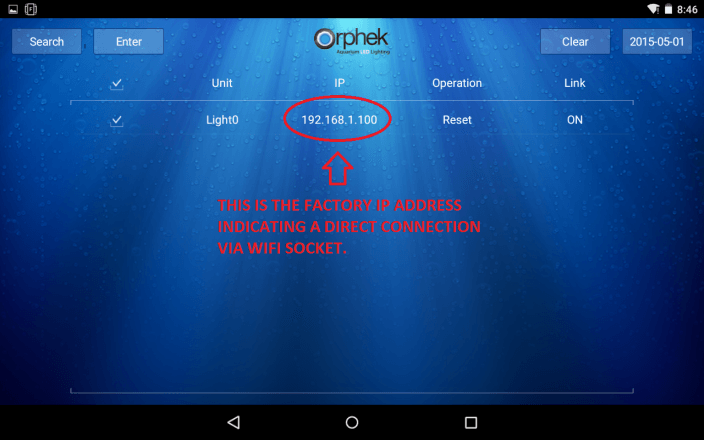 You will be able to use this section to verify connectivity of your lights as you connect them to your home network in section 2 and then you will be able to change a few items on your lights in order to help you use the system more efficiently. You will need to ensure that you are connected to the network and that the lights are on. If you programmed them to your home network then you will need to ensure that your Android device is connected to this network. You will also need to ensure that the time on your tablet is correct. Each time that you connect to the lights with your tablet they will receive an update on time. If the time on the tablet is incorrect then the time on the lights will be incorrect. You will need to click on SEARCH to locate your lights on your home network. If your lights do not appear please click the SEARCH button up to 5 times as it goes through all of the potential ip addresses. In the event that you lost connectivity with one or more lights you can click CLEAR and then SEARCH in this screen to quickly reset your ip info. 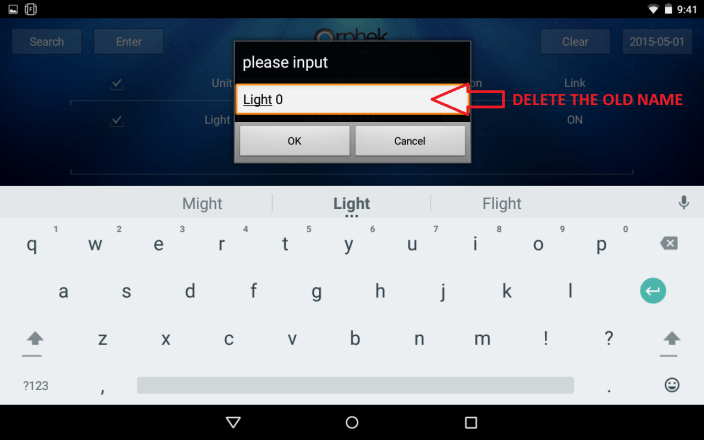 This is a good way to label your lights in the system so that you can keep them straight. 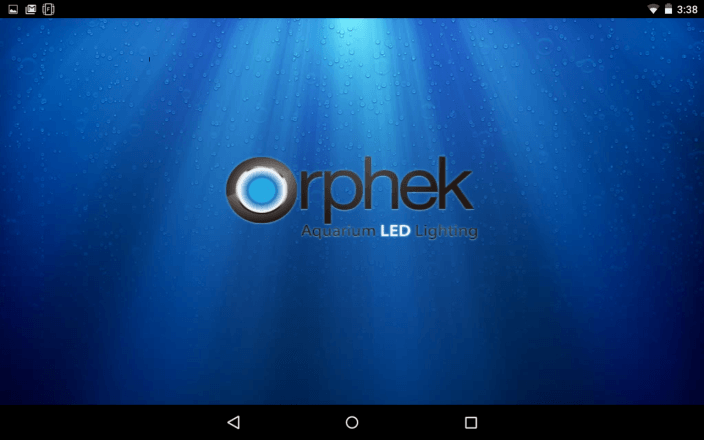 Example; Orphek Left, Orphek Center, Orphek Right. 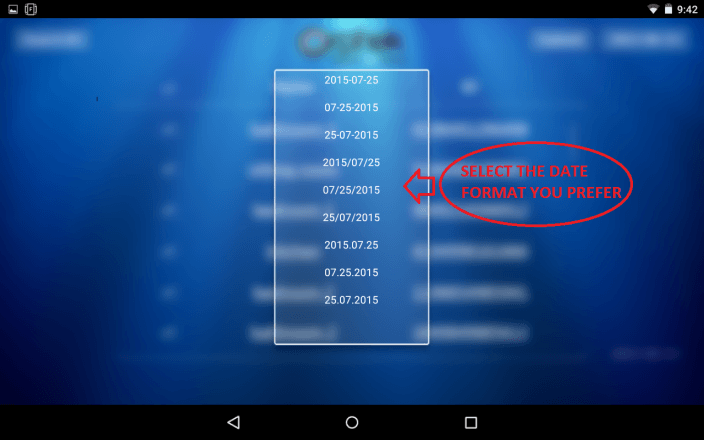 There are many options for date formatting in the Orphek app. 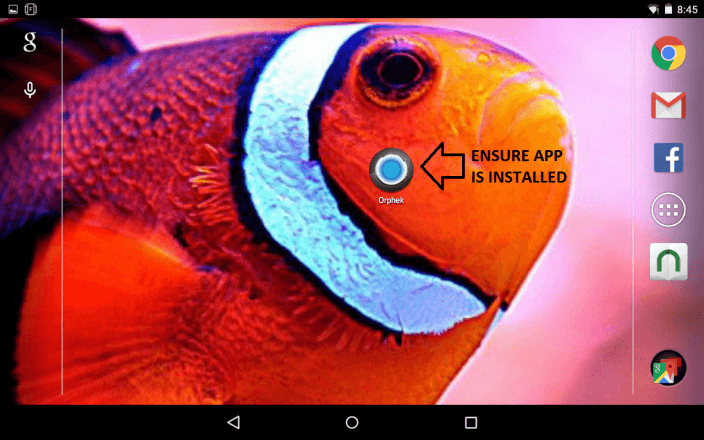 This feature may be useful with future upgrades to the application. 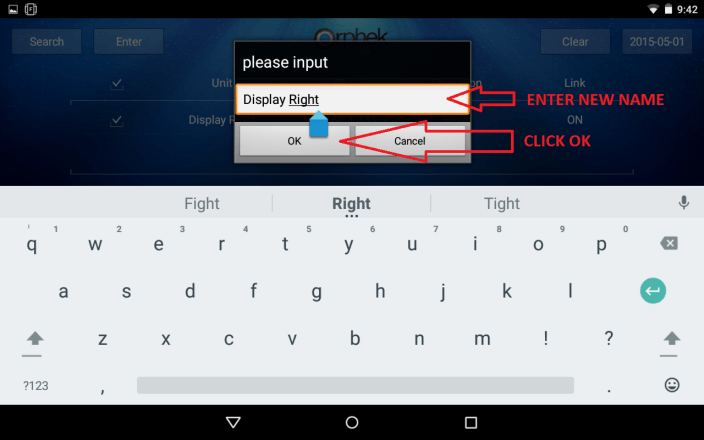 Please note that the date is pulled from the Android system on the device and cannot be changed in the app itself. Only the format can be changed. If the time is incorrect, please update the time on your phone or tablet. This is the moment you have been waiting for and where the fun begins. It’s time to start controlling your light!!! !